Dr. Yu Rong is a senior expert specializing in investment & entrepreneurship in healthcare industry. 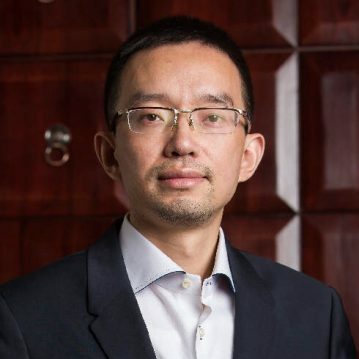 He built Meinian 100, a leading brand in Chinese medical examination industry, which is a leading professional medical examination & health service group in China. It is also the most valuable big data platform of individual healthcare in China. Founded in 2004, Meinian Onehealth Healthcare (Group) Co., Ltd, headquartered in Shanghai, owns more than 200 healthcare and health examination centers in 29 cities and provinces in China, including Beijng, Shenzhen, Shenyang, Guangzhou, Chengdu, Wuhan, Xi’an, Tianjin, Chongqing and Hongzhou. The company features more than 13,000 full-time experts, medical & management staff, serving almost 6 million customers in 2014. The number of customers is expected to exceed 10 million in 2015. Meinian Onehealth Healthcare (Group) Co., Ltd. successfully got listed on the mainland stock exchange（SZ：002044）, becoming a leading and influential player in healthcare and medical sector. Based on high quality medical examination, Meinian 100 specializes in chronic disease management, specialty clinics, Chinese medicine prevention of disease，telemedicine, medical security and other value-added services. It will become one of the most important platforms in healthcare industry in China. Holding a great healthcare demand and profound industry resources, Dr. Yu Rong has also invested in several 10 innovative and leading enterprises in medical and healthcare industry, in particular in key fields of mobile healthcare, big data of healthcare, advanced equipments, IVD and biomedicine. An industry chain has been built preliminarily, creating a new mode of gateway, sharing, growth and symbiosis.